Date nights do not often happen these days. Crazy schedules, shifting demands of the workplace and caring for two young children make it difficult for this mom and dad to have a few spare moments alone. That is why this past weekend was quite a celebration. We enjoyed a date night. With just the two of us. Alone. We spent our time at an early evening movie, followed by wonderful Vietnemese food, and all wrapped up with homemade garden-inspired cocktails. It was a perfectly wonderful evening. We wanted to incorporate our garden bounty in our cocktails in some way, so here is our best attempt to embody late summer garden freshness in a glass. We hope you enjoy this little treat as much as we did! Place the above ingredients in a small saucepan over medium heat. Stir the mixture constantly until the sugar is dissolved and begins to bubble. Turn off the heat, and allow the mixture to steep with the lid on for at least an hour. 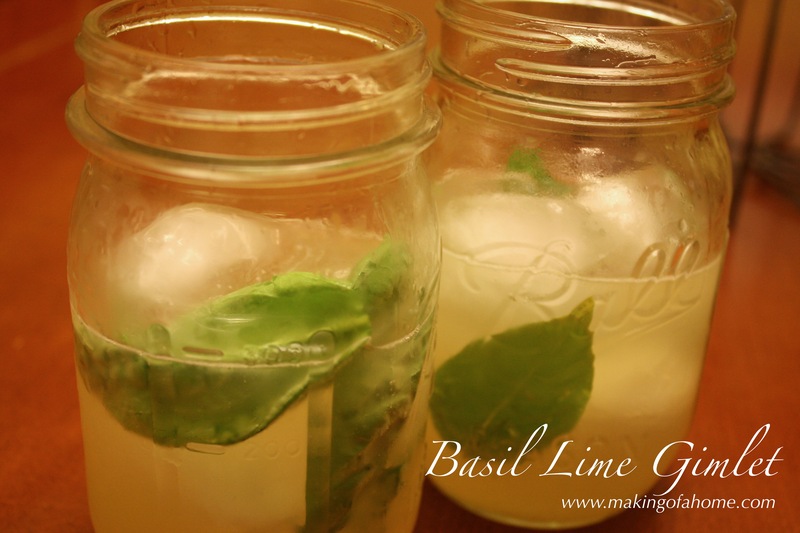 Remove the wilted basil leaves and pour into a glass container and place in the refrigerator until chilled. When you are ready to enjoy your cocktail, fill a pint-sized Mason jar with ice. Add 1 oz. vodka, 2/3 cup of the basil lime simple syrup above, and 2 fresh basil leaves. Now, for that rustic chic charm, attach a lid and rim to your Mason jar and shake away. I’m telling you, it’s the coolest martini shaker on the market these days 🙂 Once your cocktail is properly shaken, remove the rim and lid, serve and enjoy! 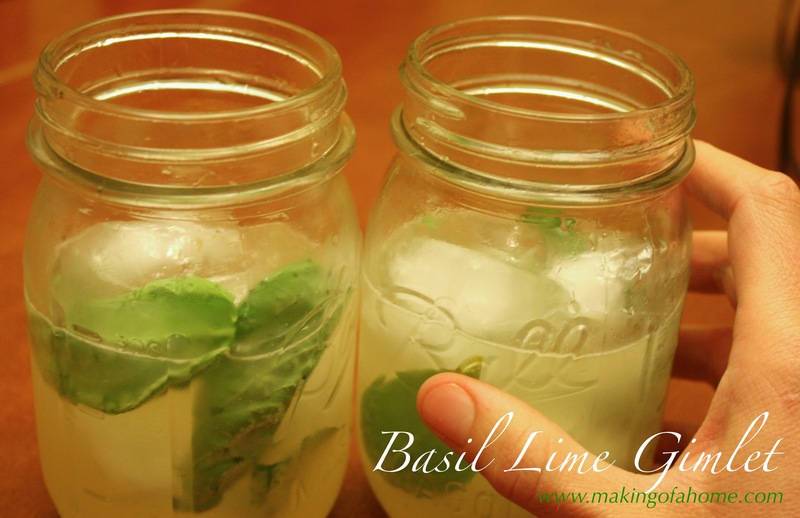 This entry was posted in Holistic Living, Recipe, Sustainable Living and tagged backyard, basil, basil lime gimlet, DIY, eco friendly, food, fresh, garden, garden cocktail, gardening, gardens, gimlet, growing, harvest, holistic, holistic living, home, homemade, homemade cocktail recipe, homemade cocktails, homemaking, kids, lime, make, making, mama, mindfulness, mom, mother, organic, recipe, recipes, sustainable, sustainable living. Bookmark the permalink.